Before you begin packing, determine when the absolute last day will be in your current residence. Many times especially with the purchase of a new home, things don’t go as expected and you may be at your old residence a few days longer than anticipated. There is nothing worse than not having items available as you need them. Where do you start, so your move goes smoothly with little to no stress on your family? The items you don’t use daily should be packed first, such as fine china. Empty out the china cabinet and pack breakable collectibles. Tackle your knickknacks next. Empty shelves, in windows and on ledges. Small appliances not used daily, should be packed next. The waffle iron, food processor and your beloved Kitchen Aid. Make sure to pack them in the original box (if possible) so it’s an easy unloading and set up at the new destination. Bookcases hold a myriad of misc items and we won’t miss looking at them; or reading those books while we prepare for the move. Pack up the entire contents of your bookcases early on. Use heavy quilts to wrap mirrors and paintings as you remove them from the walls. Your bathroom can be stripped down to the bare necessities. Leave a towel or two for each of you, along with your daily toiletries and pack the rest away. You may even find the minimal living refreshing. Plan out a menu that uses as few kitchen items as possible through moving day and pack everything else. Canned goods, spices, baking goods. The bulk of utensils, pots and pans can be boxed up as well. Pack up the garage except for the necessary items you may need like motor oil. Include all the garden tools and hoses except for the ones you may need until the move. Pack up dressers and pick out enough clothes for the last few days. You should pack as though you are going on a week long vacation and you can even use your suitcases for this. 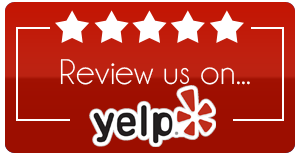 Pack up all closets, including the entry closet which is usually a catch all filled with more than coats and outerwear. Next onto all bedroom closets where you will pack up of all those extra pairs of shoes, belts, extra purses and handbags that are stored on the top shelves of the closet. Home office can mostly be packed away except for your computer and possibly printer. Pull that bulletin board off the wall along with any posters and or hanging wall files. Use a file box to make do so you don’t have everything to pack in your office the last day. Pack remaining cleaning supplies from under the kitchen and bathroom sinks, leaving only what you will need to clean the home you are vacating. On the morning of moving day, pull bedding off of beds and pack into bags or boxes. Moving is an adventure and it can be fun to treat it as such, especially while you may feel as though you are camping out for a couple of days. Lean into the anticipation of getting settled and starting life in your new home and let the excitement fuel you. 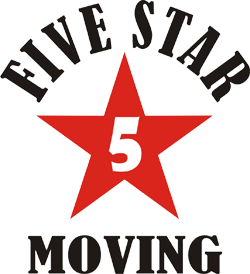 Five Star Moving will have you covered for ALL of your moving needs. We make it a seamless adventure and help you get to the enjoyable aspects much faster than handling it all on your own.